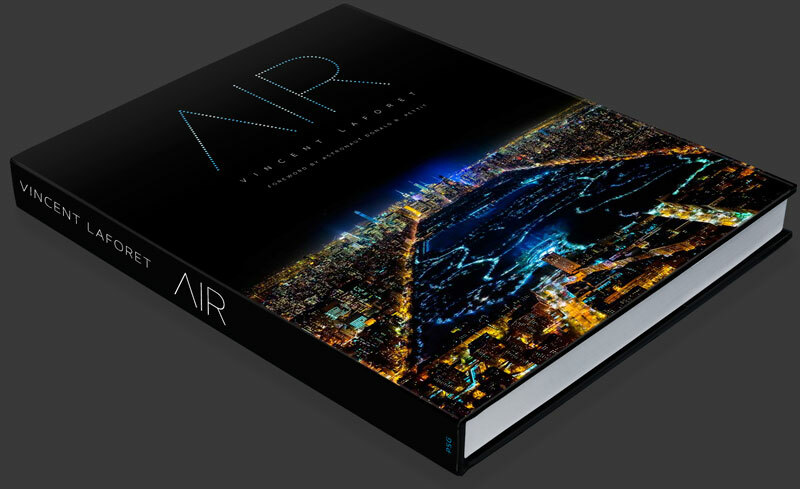 Purchase 3 copies of Vincent Laforet's AIR, and get a Free Lithograph valued at $99. Internationally-acclaimed aerial photographer Vincent Laforet created mesmerizing, never before possible, high-altitude nighttime aerial photographs over many of the world's most iconic cities following a cover assignment for Men's Journal magazine. The book consists of 228 pages from Laforet's aerial adventures. All content on this site © 2015 - 2019, PSG. All rights reserved. All photographs on this site © 2015 - 2019, Vincent Laforet. All rights reserved	Website by Linked in Design.